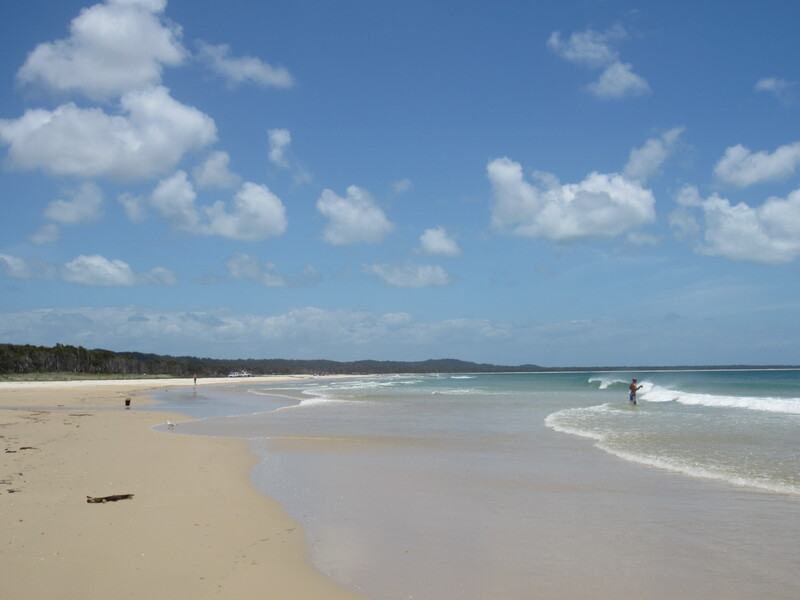 North Stradbroke Island – Straddie – is a fabulous island getaway just an hour from Brisbane. Living right on its doorstep, we’ve caught the ferry over many times, but this was the first time we’d taken our campervan. Enticed by the beautiful surf beaches on the eastern side, we tend to bypass the quieter resorts of Dunwich (where the ferry docks) and Amity Point and head straight for Point Lookout. 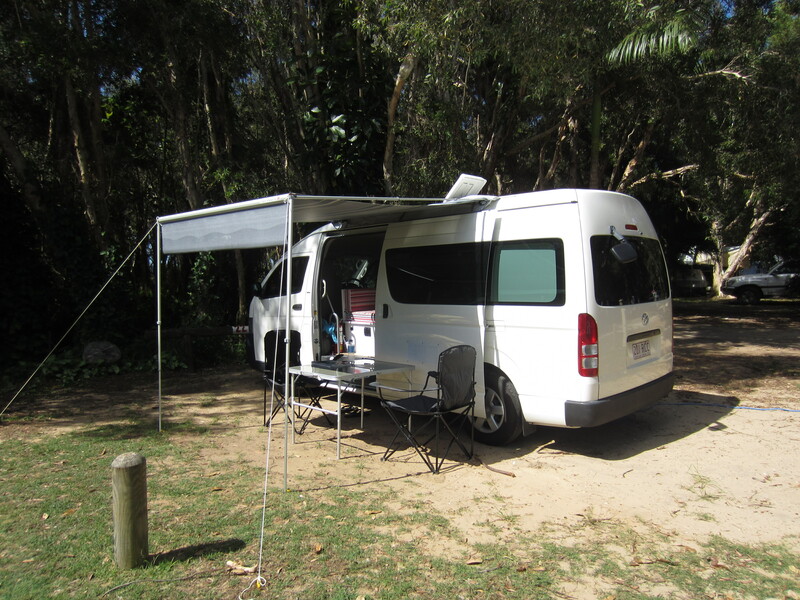 There’s free camping along Main Beach if you have a 4WD permit and a couple of camping grounds, including Adder Rock, where we stayed. This review is just our impression of the resort. 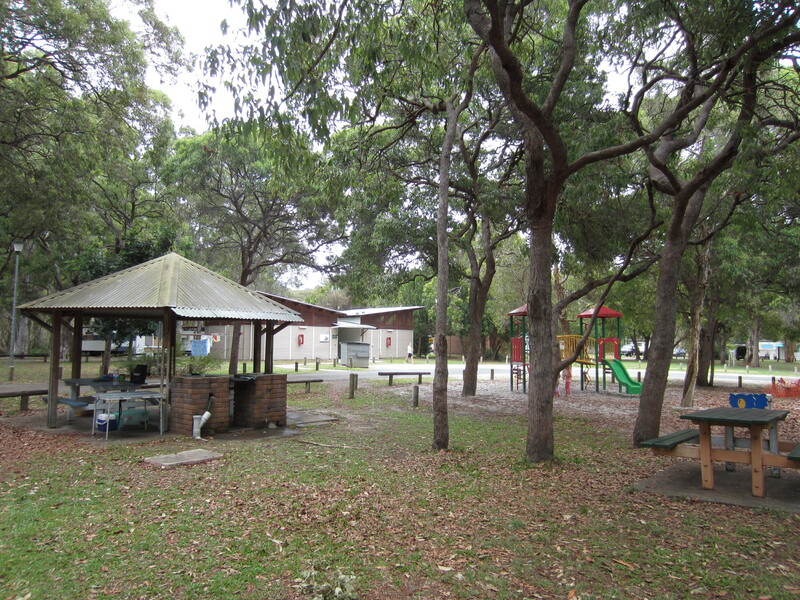 For full details about facilities and prices, check out the website: http://www.stradbrokeholidays.com.au/camping. 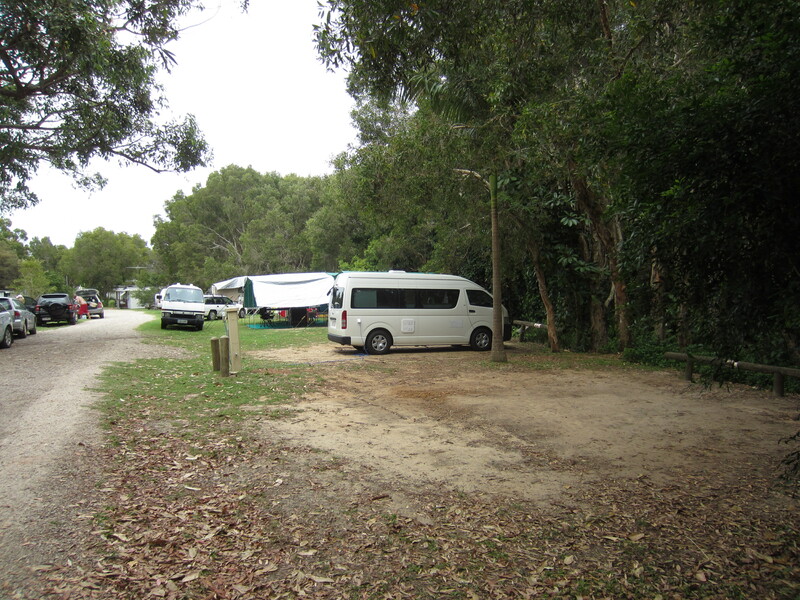 Reservations are essential at all campsites on Straddie, and they can book out months in advance in peak periods. The booking process was a bit frustrating. As is often the case at Australian campsites there’s no online booking facility so you have to ring up the tourism office, but the opening hours were quite restrictive – don’t leave it ‘til the last minute. When our schedules finally aligned, our first choice site at Cylinder Beach was unsurprisingly full (it only has a small number of powered sites) so we ended up at Adder Rock. 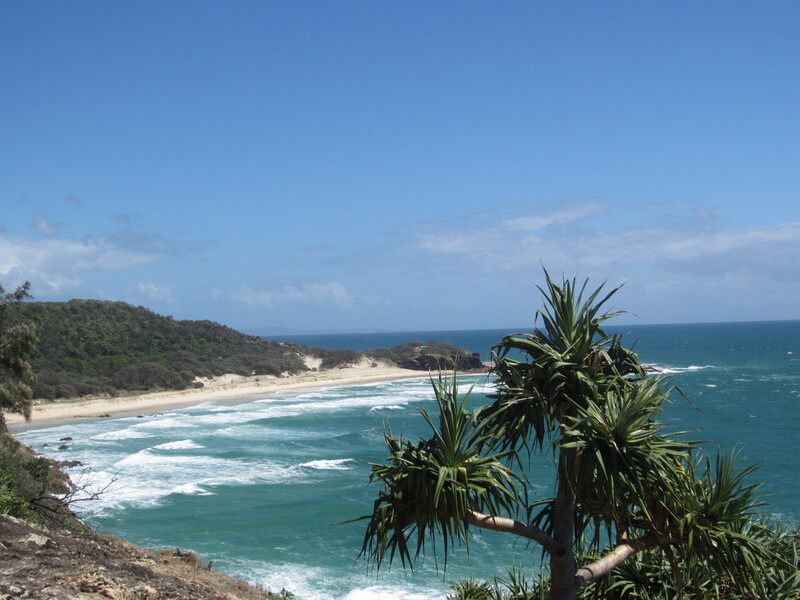 Located just behind Home Beach on the way into Point Lookout, Adder Rock must be one of the best places to stay on Stradbroke Island. It’s practically on the beach, and just a few metres away from a sheltered and patrolled swimming area and sweeping stretch of white sand. You can walk to the bowls club, a couple of souvenir shops and a petrol station selling a few groceries. I saw one review describing this as a ‘commercial precinct’, which is probably overstating it a little, but if you’re in need of a loaf of bread or a shell necklace, they’re within reach. At a push, you could walk to the Stradbroke Hotel pub at Cylinder Beach, but it would be around a 30 minute walk along the road. You can drive into Point Lookout for a few more cafes in about five minutes. Most roads on the island are accessible by car, and it’s definitely worth dragging yourself away from the beach to explore the freshwater lakes and walking trails inland. You only need a 4WD permit to drive on the beach (available at the link above), and to reach the foreshore campsites. The site doesn’t have a view but the pitches were shady and most of them were nicely spaced – we had loads of room around us and there was a fairly relaxed vibe. The washblocks were light, airy and well maintained, there was a small play park and a couple of bbqs. The main attraction though is the beach, and the site was quiet most of the day until people started trooping back with body boards and fishing gear late in the afternoon. More Gen Y than baby boomer, Adder Rock seemed to attract groups of younger people camping together as well as families with children. Ours was one of only two campervans, most people were staying under canvas. Having said that, it was quiet and peaceful when we were there, and having met the manager of the park, I don’t think she would stand for too much unruliness! If you like the beach, and if you’re heading over to Straddie you probably do, you can’t beat the location. Book well in advance and have a great time! 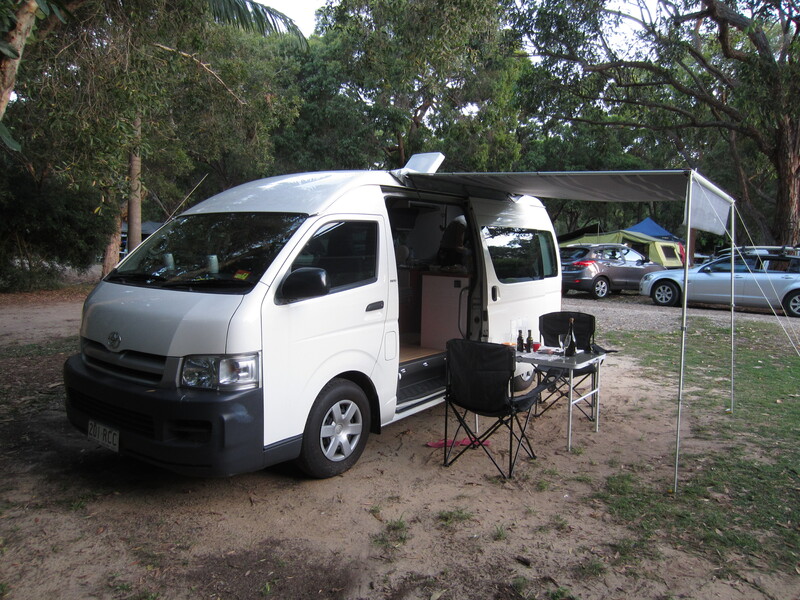 This entry was posted in Campsite reviews and tagged Adder Rock campsite, best campsite on Straddie, campervan in Qld, campground review, campsite review, North Stradbroke Island, qld campsites, Straddie, Straddie campsites, where to stay on North Stradbroke Island by Rach. Bookmark the permalink. Another one down…………………………..only nine hundred and ninety nine still to go. Some good points to note about Stradie. The trouble with camping/vaning is that work gets in the way!!! When will we see the magazine article and the next post?